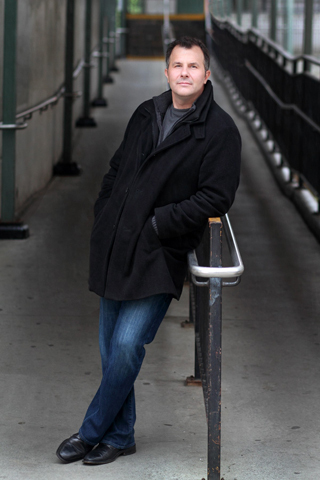 American Heldentenor Mark Duffin is a regular guest of opera companies throughout Europe and the United States. His repertoire includes over 60 leading roles from standard to contemporary operas. In recent seasons, he has added Der Ring des Nibelungen to his repertoire, covering both Siegmund and Siegfried in the Teatro Colón Ring in One Evening and Siegfried (Siegfried and Götterdämmerung) in the Seattle Opera’s complete Ring Cycle, directed by Stephen Wadsworth. He joind the Washington National Opera for their Francesca Zambello Ring Cycle in 2016. This past October, he appeared with the American Symphony Orchestra in Carnegie Hall as the Mayor in Friedenstag and in Krenek’s Der Diktator. Other notable engagements include his Teatro Colón debut as Boris in Kat’a Kabanova; the title role in Tannhäuser with the Teatr Wielki in Poznan, Poland; Pollione (Norma) with Theater Dortmund; Florestan in Fidelio with the Bayerische Staatsoper in Munich (cv); the title role in Parsifal with the Gran Teatre del Liceu in Barcelona (cv); additional performances of Boris (Kat’a Kabanova) with Opera Zuid in Holland and Oldenburgische Staatstheater; and Pollux in Strauss’ Die Liebe der Danae with Deutsche Oper Berlin. He received wide critical acclaim as Rienzi in Katharina Wagner’s new production of Rienzi at Theater Bremen. As a member of Theater Bremen’s solo ensemble from 2007-2010, other roles included Florestan (Fidelio), Calaf (Turandot), Pollione (Norma), Guido Bardi (Eine florentinische Tragödie), Eisenstein (Die Fledermaus), Erik (Der Fliegende Holländer) and Radames (Aida). He has sung Bacchus (Ariadne auf Naxos) with the Badisches Staatstheater Karlsruhe; Radames in Aida (Staatstheater Stuttgart, Städtische Bühnen Münster, Gelsenkirchen, Mönchengladbach); the title role in Rienzi with Deutsche Oper Berlin (cv); Florestan in Fidelio with Stadttheater Gießen and Pollux in Strauss’ Die Liebe der Danae with the Dresden Semperoper. Highlights from earlier seasons include the title role in Verdi's Don Carlos (San Francisco Opera); Don José in Carmen (New York City Opera, Opera Ontario); Boconnion in Bennett’s The Mines of Sulphur (New York City Opera); the world premiere of Bright Sheng's Madame Mao (Santa Fe Opera); Mao Tse Tung in John Adams' Nixon in China (Opera Theatre of St. Louis, Portland Opera and Chicago Opera Theater); Bruno Hauptmann in the world premiere of Cary John Franklin's Loss of Eden (Opera Theatre of St. Louis); Herod in Salome and the title role of Les Contes d'Hoffmann (Connecticut Opera) and leading roles with Lyric Opera of Kansas City, Spoleto Festival U.S.A., Opéra National de Lyon, Wiener Kammeroper, Vienna's “Mozart in Schönbrunn” Festival and Opéra National du Rhin in Strasbourg. Mr. Duffin holds graduate degrees from the Cincinnati Conservatory of Music and is an alumnus of the Centre de Formation Lyrique at the Opéra National de Paris and the Israel Vocal Arts Institute, Tel Aviv.